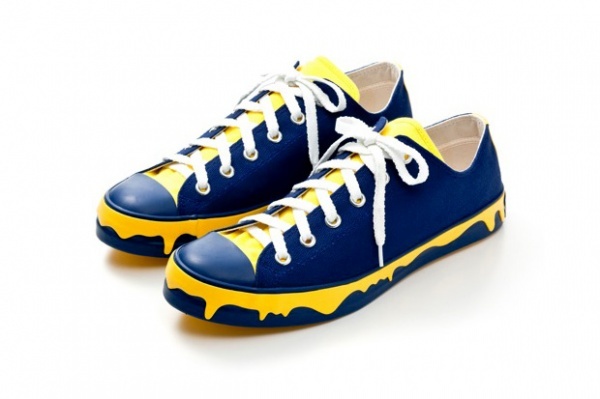 Following the debut of their playful ‘Drippy’ model of sneaker, Ice Cream is unleashing some new colorways out on the world, the latest being this Blue/Yellow combo that look pretty sharp. Featuring a navy canvas upper contrasted with a yellow canvas tongue, white laces, and yellow drip effect, this shoe is actually more understated than one might think. We certainly like them.